Don't know what got into me, I've got another blog running, Da Big Greasy Guide To Grooves. It is not an audio blog. I'm keeping HOTG just about the music posts and have or plan to have on Da Big Greasy Guide news, reviews, and recommendations on music related to New Orleans and Louisiana - whether it shows up on HOTG or not. I've got some Mardi Gras music recommendations up over there and a revisit of my review of Bonerama and their latest CD. I'll be looking at other new releases and upcoming festivals later on. Any minimal kickbacks coming my way, should somebody accidentally buy something linked on the BGG, will go into the More Bandwidth and Beer Fund. Thank you. Here’s an early r&b tribute to Fat Tuesday as sung by producer, bandleader, and songwriter Dave Bartholomew. 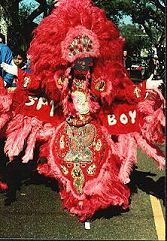 You can hear him call out to the Big Chief and use several Mardi Gras Indian phrases at the start. Legendary drummer Earl Palmer sticks to his tom-toms to roll out the syncopated underpinnings for the rest of the band: Herb Hardesty, tenor sax (probably solo); Clarence Hall, tenor sax; Joe Harris, alto sax; Frank Fields, bass; Ernest McLean, guitar; and Salvador Doucette, piano. 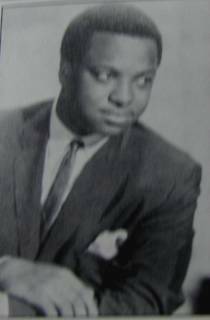 Bartholomew was just starting to produce and develop his discovery, Fats Domino, around this time. With a stable of great session players, they would make popular records together for over a decade, with tens of millions in sales. Dave didn’t do a lot of recording as featured artist; and this is one of his best, with a real hometown vibe. You can find this cut on several CD compilations, including Mardi Gras Essentials, Carnival Day, and Dave Bartholomew 1947-50. Mardi Gras' comin' and it won't be long. . .
With the Wild Tchoupitoulas post we continue our countdown to Mardi Gras with successive songs that show the influence of Mardi Gras Indian culture on the music of New Olreans. In a few days, I'll start running some songs by you that reference the Indians. These will have a short term expiration on Mardi Gras day, Fat Tuesday, February 8, 2005. So check back often and listen up. 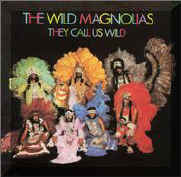 A collaboration between the Meters and the Neville family, The Wild Tchoupitoulas is a classic album. Even though it came out after the Wild Magnolias two earlier groundbreaking albums combining Margi Gras Indian songs with New Orleans funk, this 1976 effort became much more well-known, both because of the musicians on it and the fine arrangements and songwriting. Allen Toussaint and his long-time business partner, Marshall Sehorn, are credited as producers, since they supplied Sea-Saint Studio for recording and likely made the deal with the label; but, Art Neville and his brother, Charles, put together the sessions and arranged the tunes. Of course, Art and Cyril Neville were with the Meters at the time, as the Neville Brothers band had yet to form. “Hey, Hey (Indians Comin’)” features on lead vocal George Landry, aka Big Chief Jolly of the Wild Tchoupitoulas from Uptown New Orleans, who was the Neville brothers’ uncle and a big inspiration to them. Most of the tracks are his compositions, based on traditional Mardi Gras Indian songs and featuring their often cryptic chants. 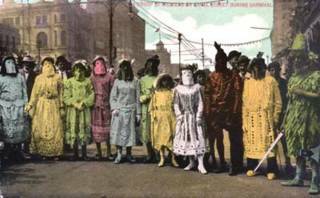 With a groove that’s guaranteed to make you move, our feature tells a story from back in the days when African-American groups masking as Indians actually did injury-causing battle with each other as they’d meet on the streets on Mardi Gras day. Thus, for a long time, the Indians were considered gangs by the police (and some frightened residents); but, by the 1950’s, the conflicts had become ritualized competitions between “tribes” to see who could make and display the most elaborate, beautiful suits (costumes). But, in their songs you will still hear references to “gangs”, “the battleground”, “jump in the river”, “get the hell out the way”, and other confrontational subject matter. Musical support throughout is provided by the Meters along with the Nevilles, plus Teddy Royal doing some additional guitar; and ensemble vocals include the brothers (Art, Charles, Cyril and Aaron) and Willie Harper. With arrangements and grooves that are funky but more laid back than what Willie Tee did for the Wild Magnolias, all involved with this project brought forth a still unique sounding work with hints of the Caribbean that resonates with New Orleans cultural history. 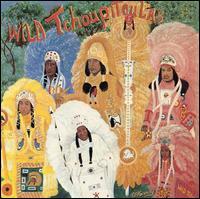 The Wild Tchoupitoulas still appears to be easy to find, though it is not in print, and really should be in any self-respecting funk collection. 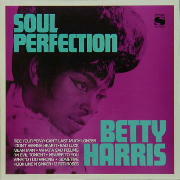 By the time she hooked up with Allen Toussaint to record for his new Sansu label in the mid- 1960’s, Betty Harris had made a handful of sides for Jubilee, scoring a substantial hit with her heartfelt cover of “Cry To Me” in 1963. Along with Irma Thomas, she is one of the few women Toussaint wrote for and worked with during the decade. The classic sides he made with Thomas earlier were, at best, only local or regional hits; and I think Toussaint envisioned more for Harris, writing songs in various styles, some with pop leanings, tailored for a national market that did not ultimately materialize either, except for the lovely ballad, “Nearer To You” that charted well in 1967. As with other of her mostly outstanding Sansu sides, “Trouble With My Lover” really has no New Orleans musical identity; and there’s no harm in that. It reminds me somewhat of a Staple Singers groove and sound from that era; maybe it’s that simple, but effective tremelo guitar. In any case, her wailing testimony on this tune makes it easy to understand why collectors and connoisseurs consider her voice to be so compelling. Makes you wonder how she could have been passed over; but remember that many r&b/soul artists then were fighting a losing battle for airplay with British bands that, ironically, had been heavily influenced by African-American musical styles. I first heard most of Betty Harris’ Sansu output on a Charly LP compilation called In The Saddle, as I recall (most of my vinyl is still in storage). Up until that point in the late 1980’s, I had only seen references to these records. So, needless to say, hearing her do “Trouble With My Lover”, among others, was quite a revelation. In 1998, the once prodigious West Side in the UK released Soul Perfection Plus, containing her Jubilee, Sansu, and SSS International tracks. If you can find it, buy it. That label seems to have been sadly lost in some corporate shuffle over there. You can find a few of her Sansu sides on the Sundazed Get Low Down collection; and “Trouble With My Lover” appears on The Further Adventures of Funk Soul Sisters CD. Hear a couple of her other sides on the Soul Club Jukebox, too. For background, I’ve got some links following that you should check out to learn more about this talented lady who may be coming back around to performing. Though not a native of NOLA, Betty Harris, through her work with Allen Toussaint, is certainly a remarkable part of the city’s rich musical heritage. She well deserves our attention here at the Home of the Groove. The CD notes credit Clifton Chenier (the late progenitor and king of zydeco music) as the writer of “Bon Ton Roulet”; but this is not his song of the same name, which Chenier had actually copped from Louis Jordan’s “Let The Good Times Roll”. No, the song covered here was written and originally recorded in the early 1950’s by Clarence Garlow, a blues guitarist and performer raised in Southwest Louisiana but based in Beaumont, TX most of his life. It’s one of the great, cool early swamp blues tunes (if not the earliest) with that syncopated mambo feel and quirky Creole lyrics that laud the laissez-faire, bon ton lifestyle of the region. 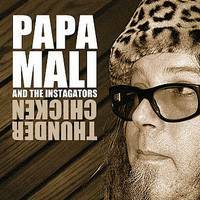 Papa Mali and the Instagators nail their cover of the tune with a funk/blues crosscut, and make it just right for our Carnival season Swamp Side. As I mentioned when posting a track from Malcolm “Papa Mali” Welbourne’s side project, Jerkuleez, the Austin-based guitarist, performer and song-writer grew up around Shreveport, LA and has spent a lot of time in New Orleans. 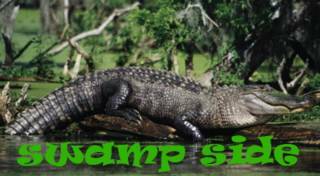 His work always exudes a steamy bayou atmosphere live. And, thanks to producer Dan Prothero of Fog City Records, that presence is preserved in the recording process and final mix. Back in 2000, a fellow programmer at WEVL passed Thunder Chicken to me; and I was hooked. 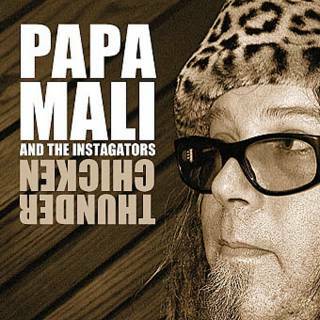 Since then, I’ve been fortunate to catch Papa Mali several times; and he hasn’t disappointed, even one night when there were only as many audience members as band members (four). We keep in touch now and again; and he’s given me his gracious blessing to share this track with you. His new CD, recorded in New Orleans, will be coming out in the not too distant future. We’ll let you know. In the meantime, find and buy Thunder Chicken and revel in all its greasy goodness. Time's up, deal with it. Well, it wouldn’t be Carnival time, or much of any other time in New Orleans, without some brass band sounds and parades. On Saturday, my wife and I are going to one in NOLA put on by the Krewe du Vieux (this year’s theme: What Would Krewe du Vieux Do? ), which is an “unofficial” Carnival (dis)organization made up of a very loose confederation of 19 smaller renegade sub-krewes. We have friends in one of those called Krewe de CRAPS. Anyway, each krewe in KdV is parading with a brass band – so that’s 19 different brass bands blowing out the funked up march rhythms along the route. Should be totally outrageous. The Stooges Brass Band are part of that, rollin’ with the Drips and Discharges krewe (I’m guessing these could be nurses. . . or patients). 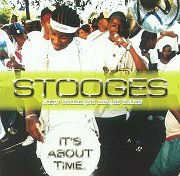 In the dynamic, competitive, street level world of brass bands, the Stooges Brass Band bring a fresh feel to their music. “Deal With This” has a distinctive Afro-Cuban or even Afro-Beat vibe, which conjures up the hometown deep roots with an insistent, captivating groove. In fact, the whole CD bucks and jumps with fire and passionate playing that rivals other brass bands with many more years on the march and CDs in their press kits. Starting out as teenagers in the mid-1990’s, the former Lil’ Stooges Brass Band have grown up immersed in this music, a tradition wholly unique to New Orleans that goes back over a century now. Each new band brings it’s own flavor to the festivities. That’s why I look forward to that parade extravaganza this weekend as a chance to catch nearly twenty brass bands full of veterans and rookies laying down an off da hook second line soundtrack. If we’re still standing after that, the big Krewe du Vieux Doo later with Jon Cleary and the Absolute Monster Gentlemen should ice the thing. I can deal with it. Back in the day. . .
Dan, you're right again. Dwight here, drummer for Chocolate Milk. reading your blog definitely jogs my memory. It brings me back to those days in Allen's studio and of course the live shows. Yes, that is my complete band "Chocolate Milk" backing allen on that track. you are also correct about the venue. It was a night time concert sponsored by Jazz fest on the riverboat president. I don't recall playing outdoors with allen at the Fairgrounds, that year, but I surely remember playing on the Riverboat. Allen had only recently begun playing live during that time. Allen was a master in the studio, Chocolate Milk were masters on the live stage. We were his security blanket. Being a self contained unit, we were quite used to playing live. Allen, on the other hand was painfully shy. He would not venture onto a stage without us. We were always a "jam" band long before the term was coined. any live venue was fun for us and often we would make up a song live, on the spot. I remember that some of the songs were named only after we played them. not only did we play live with Allen on the Riverboat, but, about a year or so later we played live with Paul McCartney on the Cotton Blossom riverboat for an album wrap party. we played on some tracks for McCartney's album. To celebrate the completion there was a huge party given on the riverboat. Paul's band played, the Meters played and Chocolate Milk played. Then we ALL jammed together. the whole thing was filmed for a documentary, but someone stole the film that night. There was a big commotion and investigation, but that film has not surfaced even up til today. THAT would be a show!!!!! anyway, I hope you enjoyed the story. Anytime I see something that I have some intimate knowledge about, I will try to respond. we were in Allen's studio just about every night, even when we were not recording, so I did get to see quite a few interesting sessions. If you like, you can move these comments to your main page. Actually you can do that antyime I respond. I can't remember if I told you, but we are reviewing four shows that we recorded at Sweet Lorraines (the latest was new year's eve. we played a funky version of "auld lang syne"). I promise to send you a copy of the CD once we get it mixed. It's taking a while! Keep up the excellent work here Dan, I really enjoy it! I guess I have talked enough here now so, good bye for now. [Note 2/26/2008] What neither Dwight nor I knew when I did the original post and he responded is that the show we were talking about was actually NOT the 1976 riverboat concert, but a Toussaint concert from 1975 that was taped in Philadelphia for possible release as a live album by Warner Brothers, which was his label at the time. (The full 1975 concert recording finally saw the light of day in 2003!) As Dwight told me later in person, Chocolate Milk was not backing Tousssaint on that date. See the "Sweet Touch Of Love" post for more on how we were deceived into thinking otherwise. During the 1970’s, Allen Toussaint had numerous songs covered by other artists: Little Feat, Bonnie Raitt, Van Dyke Parks, Robert Palmer, Etta James, and LaBelle, to name but a few. He also produced records for some of them, and many others. And even though he did four albums himself that decade, Toussaint has always preferred composing and production to performance. So, his infrequent live dates continue to be special occasions. In this riveting, perfectly arranged version of “Play Something Sweet (Brickyard Blues)”, Toussaint sings and professes on piano with authority; and the tight band is right in the groove. The song is one of his best, with funny lyrics and an intricate structure containing elements of early jazz, blues, vaudeville, and pop done with a kind of funk/swing feel – it’s a long way from “Java”. Toussaint never released his own studio version of “Play Something Sweet”, which he wrote in the early 1970’s; but it was recorded by Maria Muldaur, Three Dog Night, and Levon Helm, among others. This live recording originally appeared on the Island LP, New Orleans Jazz and Heritage Festival 1976. The album, which was later picked up by Rhino and re-issued on CD, is a compendium of performances by Toussaint, Lee Dorsey, Ernie K-Doe, Robert Parker, Irma Thomas, Earl King, Lightnin’ Hopkins, and Professor Longhair, most of which were recorded live at that Jazzfest. Songs by Dorsey, Parker and King were redone with tacky canned crowd noise in the studio months later, supposedly because of audio problems at the live sets. Toussaint’s portion (five songs. . .well, 4.5) was noted on the album as recorded at a 4/9/76 Jazzfest sponsored night concert on the riverboat President (a great venue that has since sailed on); but that, as it turns out was not actually the case. As a result of a tip by a blog reader and avid Toussaint fan, Jeff Mason, I now know that the live Toussaint recordings, including our feature, were actually from a 1975 Philadelphia concert. That show was taped by Warner Brothers, Toussaint's label, for a live album tht was never released. In 2003, Rhino issued the full 1975 performance (he opened for Little Feat, says my friend, Ed) as part of their 2003 Handmade limited edition two CD set, Allen Tousssaint: The Complete Warner Recordings. Get one. It’s got re-mastered versions of his three WB LPs, too. Although I've had it for years now, I never did a comparison of the tracks, nor did I note that the MC is the same and says the same thing at the start of both - except that, on the Island album, they they cut out him saying "Philadelphia". Jeez Louise. Thus, the producers of that record, who just happened to be shown as Toussaint and his business partner, Marshall Sehorn, pulled the old switcheroo and flat out lied about it. In Toussaint's defense, I am sure this was mainly the doing of his sometimes shady partner (may he rest in peace) - hey, this is the music business we're talking about - saints are few and far between. Ultimately, what it means beyond a distinct lack of truth in advertising is that there is really only one known recording of Toussaint live in that era. Definitely get the Handmade CD version, if you can find it, as the other album's tracks, while of the same show, are fewer in number and sonically inferior. 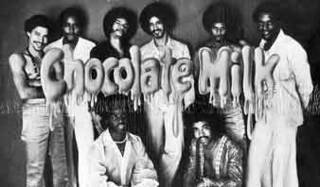 As good as that 1975 show was, my friend Dwight of Chocolate Milk (see his comments in the next post) says his band was backing Toussaint at the 1976 Jazzfest concert - so, I'm sure it was a hot one. It reamins a mystery if any tapes of it exist. At this point, I do not know who was onstage with Toussaint in Philly. I’ve been lucky to see Allen play live many times over the years; and his sets are always high class fun. So, I hope this track gives you a taste of that, as today we help celebrate the birthday of this true gentleman, HOTG original, and member of the Rock and Roll Hall of Fame. While he shared writing credit with Red Tyler and the mysterious Marilyn Schack, Allen Toussaint wrote “Java” and a passel of other tunes on the fly for a recording date in 1958 set up by Danny Kessler, a talent scout and record producer, who had heard the young man’s piano skills during a session for another artist. He had already played on numerous recordings, but Toussaint had not yet released anything in his own name. The first two songs recorded were “Whirlaway” and “Happy Times”, both instrumentals released on an RCA single in the name of Al Tousan (Kessler’s attempt to simplify Toussaint’s name). A few weeks later, ten more instrumentals were recorded, resulting in the now legendary album, The Wild Sound of New Orleans by Tousan. 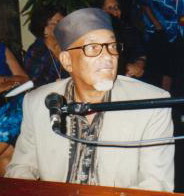 Toussaint, who will be 67 on January 14, has discounted the compositions on his first album as hastily created and cut, some being no more than extended riffs; but they well display his fine chops, his influences (Professor Longhair, Albert Ammons, Ray Charles, Lloyd Glenn, among others), and, in the case of “Java”, his developing flair for melodic hooks. The other players Toussaint assembled for the sessions were all A-list studio musicians: Alvin “Red” Tyler, baritone sax; Nat Perrilliat or Lee Allen, tenor sax; Justin Adams or Roy Montrell, guitar; Frank Fields, bass; and Charles “Hungry” Williams, drums. A listen to Williams’ tricked out, quirky syncopation on this tune shows why he was in demand back in the day. Many musicians, including Toussaint and Dr. John, attest to the skills and unique character of this mostly forgotten name in New Orleans percussive history. 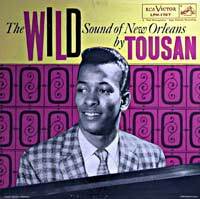 When Toussaint was in the Army in 1964, he was shocked one day to hear “Java” on the radio, as recorded by Al Hirt. Hirt’s version was a big hit and insured that the song would live on (and pay off), even if the original was forgotten. Toussiant’s entire first album plus sessions he did a year later for Seville Records can be found on the Bear Family CD, The Complete Tousan Sessions. The original LP and related singles are all very hard to come by, although the album was re-issued on vinyl in the UK ten years or more ago. I’ll be favoring you with more from Allen Toussaint (recorded live) for his birthday. Stay tuned. The Mardi Gras Indian tradition in New Orleans, with its roots in the African diaspora and interaction with Native American culture, has far too many twists and turns and for me to go into here. So, I’ve got links down below that will tell you more. But, all you probably need to know to understand these lyrics is that a “new suit” is the elaborate, American Indian inspired costume each member makes every year for their tribe’s Mardi Day parading and showdowns with other tribes, which also take place on and around St. Joseph’s Day, between Mardi Gras and Easter. 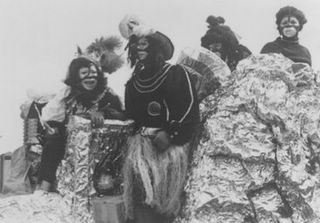 Back in the day, tribes from different areas of town had actual, injury-causing territorial fights when they met; but, starting around the 1950’s, the battles became ritualized as a competition to see who could produce the most elaborate and beautiful costumes that can take almost a year to create. The ever so funky “New Suit” features Bo Dollis, Big Chief of the Wild Magnolias, singing lead. The musicians consist of the song’s composer, Wilson Turbinton aka Willie Tee (see my earlier post on him), on keyboards along with members of his funk band, the Gaturs, and other listed below. In 1970, the Gaturs and Wild Magnolias first jammed on stage together at the Tulane University Jazz Festival in New Orleans. Thus began the fusion of funk music with the Indians’ traditional songs, which resulted in the recording of a 45 that year and in 1974 an album, The Wild Magnolias, with Willie Tee and band, which was followed the next year by They Call Us Wild. Both albums, produced by Philippe Rault and released in Europe on Barclay/Polydor, became serious collectors’ items in the US. In 1976, members of the Meters and Neville Brothers collaborated on their own album project, The Wild Tchoupitoulas, backing the tribe headed by the Neville’s uncle, Big Chief Jolly (George Landry). It too is a memorable album; and we’ll try to get you a cut from that later on. Both those Wild Magnolias albums were reissued on CD here in 1994; but are now gone again. They have continued making albums off and on, as a search of Amazon will reveal. To me, the best of the bunch is Life Is A Carnival with it’s high-powered funk and top of the line session players. As they say in the song, the Indians are the soul (and funk) of the Mardi Gras: colorful, exotic, rhythmic manifestations of a once secret culture still connecting inner-city New Orleans to ancestral homelands. Other band members (1975): Earl Turbinton, alto and soprano sax; "Guitar June" Ray, guitar; Irving Charles, bass; Larry Panna, drums; Alfred "Uganda" Roberts, conga. It's officially Twelfth Night here in the Central time zone. USA. That means Carnival season has begun. They were jumping the gun a little yesterday with some king cake slices available at a coffee shop I stopped at. Anyway, let the festivities now begin. If you are not familiar with the whole Carnival concept, go google it. I'll just point out that the season ends at midnight on Mardi Gras day (Fat Tuesday aka Shrove Tuesday), followed by Ash Wednesday, the first day of Lent. Due to the moon and equinox making for an early Easter, Mardi Gras comes up this year on February 8th. What it all means to this blog is that I'll be throwing you some New Orleans Carnival related music off and on this month and into next. 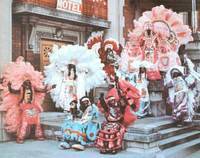 The first installment is coming in a few days: Mardi Gras Indian funk. Get a good spot for the parade. . . . This is singer, guitarist Alvin “Shine” Robinson’s most well-known recording, simply because it was covered a year later by the Rolling Stones on their Now! album. With its laid back, popeye saunter and hip, humorous lyrics that seem tailor-made for Robinson’s greasy, gritty delivery, Jerry Leiber and Artie Butler crafted a New Orleans flavored gem. Besides the Stones, the song was covered by the Coasters in 1967 (with James Booker on keyboards! ), followed by others over the years; but none could top this version that, if fate had been kind, should have been a hit. After recording some decent sides as Al Robinson for Imperial in the early 1960’s with Dave Bartholomew in charge, Shine made his way to New York with Crescent City manager/bandleader/hustler Joe Jones, who got him a deal with Tiger Records, owned by the legendary writing/production team of Leiber and Mike Stoller, who also signed another of Jones’ acts, the Mel-Tones, a female vocal group from New Orleans who were soon re-christened the Dixie Cups. Robinson had one Tiger release, which charted, before Leiber and Stoller activated their Red Bird and Blue Cat labels which issued “Down Home Girl” and a few other singles on him with no financial returns. Funky 16 Corners has a nice overview of his output during this period. By the end of the 1960’s, Robinson had relocated to Los Angeles to join other New Orleans expatriate musicians, including his running buddy, Mac Rebennack aka Dr John, with whom he wrote tunes and then toured for many years. Harold Battiste produced some quite funked out records on Shine there. Some of Robinson’s Imperial recordings were on the sadly deleted Capitol CD set, Crescent City Soul. Along with some of his other Tiger, Red Bird and Blue Cat sides, “Down Home Girl” can be found on the out of print Charly CD collection, The Red Bird Story. And it’s on Rhino’s More New Orleans Party Classics. The Rhino and Capitol CD comps are good general primers on the city’s r&b output, if you can find them. Finally, for examples of his Pulsar sides done in California, seek out the outstanding Ace (UK) Gumbo Stew series. He died in New Orleans in 1989. March on, Shine. No mo' Bo - This was the most popular post in HOTG history - so far. I'll have to tell Eddie. Well, here it is 2005 and two and a half months into this blog; and I haven’t done an Eddie Bo side yet. What’s up with that? I have posted one of his productions before; but it’s time to give him some. The congenial Mr. Edwin Bocage, owner of the Check Your Bucket Café in New Orleans, is high up on the Home of the Groove list of talented musical multi-taskers as a singer, keyboard wiz, songwriter, arranger, producer, and label-owner, who has had a fifty year career. He can still be found keeping it funky at his club and on various stages around his hometown. At the end of this piece, I’ve given you some links so that you can find out more about him. His last recording for the Seven B label, at least using his own name, “Lover & A Friend”, is a rare duet, featuring Bo along with a young singer, Inez Cheatham, who regularly sang back-up on his sessions in a group called the Triple Souls, whose other members were Sena Fletcher (who Bo recorded as Mary Jane Hooper), and Mercedes Morris. The group also did a lot of singing behind Allen Toussaint and Wardell Quezergue productions of the day. Though probably just out of her teens, Ms Cheatham already had a strong, mature sounding voice on this 1968 single, which was subsequently picked up by Capitol Records for national release without success. Surprisingly, I have found no evidence that she ever recorded solo. The groove exemplifies Bo’s funk tendencies that began to blossom in his 1960’s work and came to the forefront on his singles for Scram and his own labels at the end of the decade and beyond. My Charley CD notes attribute the attention grabbing drum work on this track to Bobby Williams, of whom I know little other than his own instrumental single produced by Bo, "Boogaloo Mardi Gras", was released soon after “Lover & A Friend” (thanks to Larry Grogan at Funky 16 Corners for that tidbit). So, you want to find this cut on CD? It first appeared on Charly’s compilation, The Minit/Instant Story, now gone bye-bye. But it’s also available on the serviceable New Orleans funk comp, Voodoo Soul; and I read it’s on another comp of sample sources called Brainfreezebreaks. There will be more to come here from Eddie Bo. That I promise. We went to Lil' Buck's gig at the Blue Moon Saloon here Thursday night. Playing almost all r&b and blues covers, with a little zydeco and an a Meters tune for spice, he and his rockin’ band kept that dance floor full. Grooving on bass was Lee Allen Zeno, another well-known musician in these parts. The drummer, Herman Jacobs, was in the pocket all night and could funk it up with the best of ‘em. I’d never heard him before. A young cat named Keith (didn’t get that last name) played keyboards and burned on every solo. And, of course, there was Mr. Sinegal, singing, playing his strat good and greasy, and calling tunes one after another for the entire two and a half hours we were there. Don’t know when they shut down, or took a break, if ever. What a treat. Happy New Year, y’all. And for some ultra-hip, trippy art inspired by local music and ambience, check out the website of our friend, Francis Pavy. He’s got some cool guitars (and a car) on display, too.